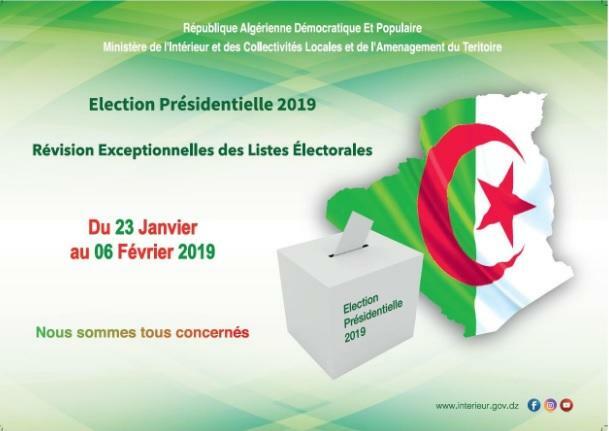 The Embassy of Algeria in New Delhi informs the Algerian nationals residing in India that, the extraordinary review of the Electoral List prior to the presidential elections due to be held on April 18, 2019, has begun on January 23 rd and will continue till February 6 th , 2019. - being registered at the embassy. - being 18 years old. - enjoying their civil and political rights. For further information, please call (+91-11) 24 11 75 86.